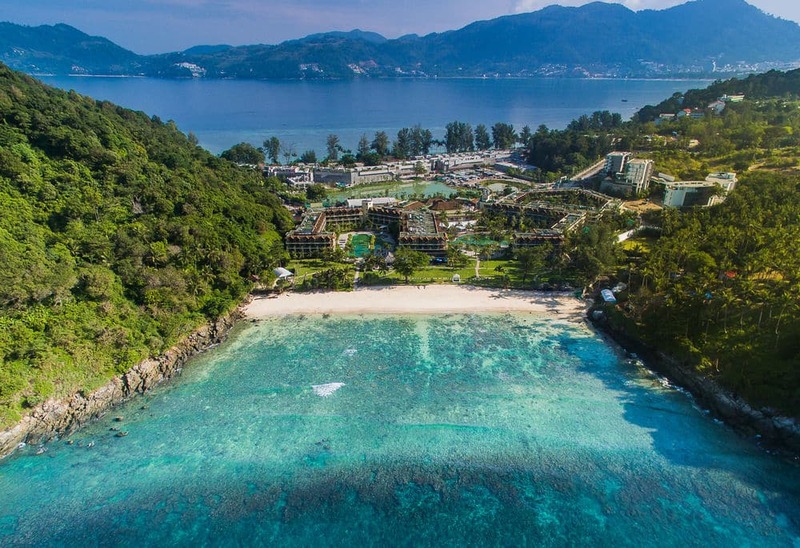 The Merlin beach Resort Phuket is perfect if your looking for a quiet, family friendly, slice of paradise oasis with a private beach. It's located on Tri-Trang Beach just 3 kilometers south of the hustle and bustle of Patong Beach. I found this resort on Hotels.com while looking for the perfect accommodation before my island hopping tour started. After traveling over 20 hours from New York, I wanted to settle in and enjoy a luxurious stay at a great resort. I booked an ocean-front view bedroom for a night and loved every minute of it. The checking in process was pretty quick and you're welcomes with wet towel and drink, which was perfect after a long traveling day and the humidity. This resort had many amenities, friendly staff, and gorgeous grounds. I loved that had it's own private beach, huge pool, and very quiet. There were many families that were staying here, couples,as well as big groups. My booking through hotels.com offered a free breakfast with my stay which was buffet style. The breakfast buffet included an array of pastry selection, juices, coffee, western style food and thai food. Traveling solo and staying at this resort, the staff were exceptional! Everyone was very friendly and accommodating, and always having huge smiles on their faces. The grounds were very well maintained, rooms were spacious and clean. I would definitely recommend staying here if you want true peace and relaxation! Where is your favorite hotel/resort located?